The latest voice-activated assistant from Google comes with a touch-screen display that makes using the Google Home Hub fun. For example, use your voice to ask the smart home control center for directions, then have these appear on the screen using Google Maps. The 7" display is also great for using interactive recipes or for controlling the rest of your smart home devices. Transform your living or work space with a variety of lighting options. The LIFX Mini Color E26 light bulb gives you thousands of lighting options with over 16 million colors and whites. The LIFX Mini Color is ready to use out of the box and does not require any additional hub or bridge. You can control the lighting via the LIFX app or voice control to effortlessly change from different lighting conditions, on demand and at any time. The LIFX Mini Color is also compatible with many smart home manufacturers. "tink is your smart home expert!" Home automation has never been so easy! Control the two LIFX Mini Color E26 light bulbs and other connected devices all from the Google Home Hub's touchscreen interface or via voice commands. The Google Home Hub also lets you stream music, get weather updates, and more. The Google Home Hub is an innovative combination of smart speaker and touchscreen. Control all your connected devices from its interface, get weather updates, stream music and more. The Hub is a sleek and compact device that will even fit on countertops and night stands - the perfect smart home helper. Included in the bundle are two free LIFX Mini Color E26 Light Bulbs, which you can control using the Hub, your voice, or your smartphone. Dimmable color-changing lights: When you buy the Google Home Hub, these two LIFX Mini Color E26 Light Bulbs are the perfect addition. Set the lights to any color with the color wheel and automate lighting schedules using your smartphone or voice. Home View' control: The Google Home Hub lets you control your connected devices, including the LIFX Mini Color E26 Light Bulbs, from its touchscreen interface. The screen gives you a clear overview of all compatible smart home products. Music streaming: Stream your music directly to the Google Home Hub from your favorite streaming service, such as Pandora, Spotify, or TuneIn. The Hub boasts a 2-inch driver and double 2-inch passive radiators for superior sound. Built-in Google Assistant: The Hub's integrated Google Assistant gives you a hands-free smart home experience. Use your voice to control everything from smart lights to your smart thermostat - without lifting a finger. Automate lighting with Day & Dusk: When you activate the Day & Dusk feature, your LIFX bulbs will mirror natural daylight. Wake up to cool light in the morning and enjoy soft warm light in the evening for a better night's rest. The Google Home Hub is Google's newest smart speaker with a twist: It also boasts a 7-inch touchscreen interface that lets you control your other connected devices from one place. That means you won't need to juggle multiple apps at once. When you install the color-adjustable LIFX Mini Color E26 Light Bulbs, you'll be able to control them using your smartphone or voice. The Google Home Hub comes packed with fun and useful features to improve your home life. For example, the Hub's screen doubles as a digital photo album and can show off your latest snapshots from your smartphone. The speaker also offers Ambient EQ, a technology that allows the display's brightness to adjust automatically based on its surroundings. That means the Hub won't blind you at night, and your photos won't be washed out when your home is bathed in sunlight during the day. Finally, the Hub also assists you in your day to day life: Get weather and traffic updates before you leave for work and find tasty recipes at dinner time, simply by asking the Google Assistant. This bundle offers great new features for smart home beginners and aficionados alike. The Google Home Hub makes managing your smart home devices easier, while the included LIFX Mini Color E26 Light Bulbs will let you explore or expand your home smart lighting. Download the LIFX and Google Home apps for detailed setup instructions. Installation takes just a few minutes. The Hub and bulbs are made from high quality materials and offer cutting edge features. The Google Home app gives you tips and tricks on how to get the most out of your device while making sure everyday use is simple and easy. The Hub's built-in Google Assistant and touchscreen interface give you efficient control over your smart home devices. LIFX bulbs can be set to 16 million different colors and controlled via app or voice. High-quality sensors mean all three devices work well together and respond accurately to commands made via app or voice. The Google Home Hub looks sleek and modern, and is compact enough to fit on countertops and night stands. Google is committed to keeping your home life private - the Home Hub only listens to what's going on when the wake word "Hey Google" has been spoken. A great price for anyone in the market for a Google Home Hub and smart lighting. *Please describe your experiences with the product! Google Home Hub: 2.65 x 7.02 x 4.65 in. LIFX Mini Color E26 Light Bulb: 2.36 x 2.36 x 4.13 in. Will I need a Wi-Fi connection to use the LIFX Mini Color E26 Light Bulbs? Without Wi-Fi you'll be able to use the LIFX Mini Color E26 Light Bulbs like traditional light bulbs, by operating your light switch. In order to change light colors and manage the lights via the app, you will need a stable Wi-Fi connection. Does the Google Home Hub have a built in camera for video calling? No, the Google Home Hub does not have a built-in camera. 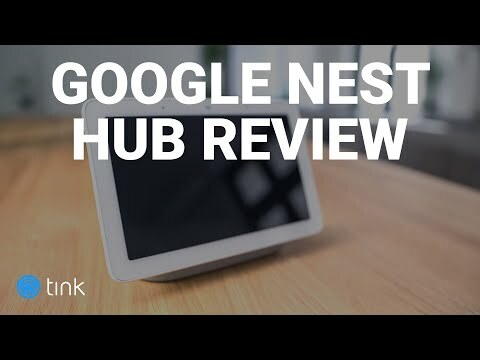 When will the Google Home Hub record what I'm saying? The Hub will only record what you say when you use the wake-words "Hey Google" or "Ok Google".